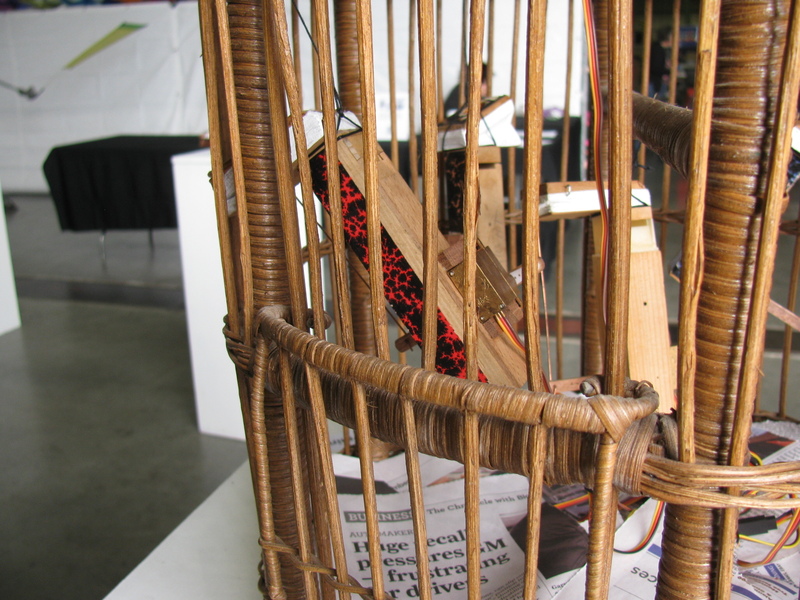 Here is a wonderful musical sculpture crafted by Christopher T. Palmer on display at the Maker Faire. The piece is called “Nicht mit dem Titel, ein” Google translate says this means “Not with the title, a” or something like that. 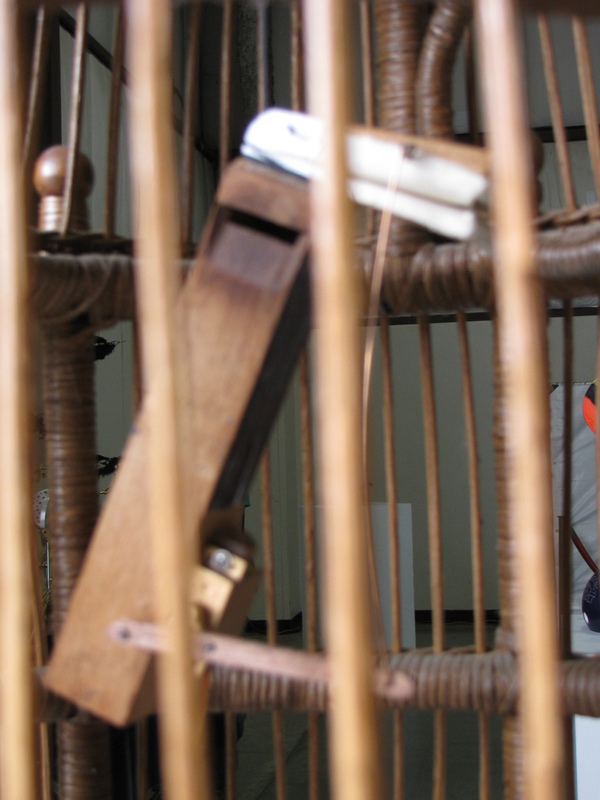 It uses restored cuckoo clock whistles, a microcontroller, some model servos. It plays every 15 minutes. More information on Chris and his studio can be found here. Watch the video on YouTube Channel KH6WZ! More Maker Faire pictures and stories to come! Stay tuned! The laser harp drew a lot of attention from little kids. The string less musical instrument features laser beams, laser sensors and an electronic harp that can actually teach how to play a tune. Click here for more information on the UC Davis Laser Harp Project. Watch the video on KH6WZ. 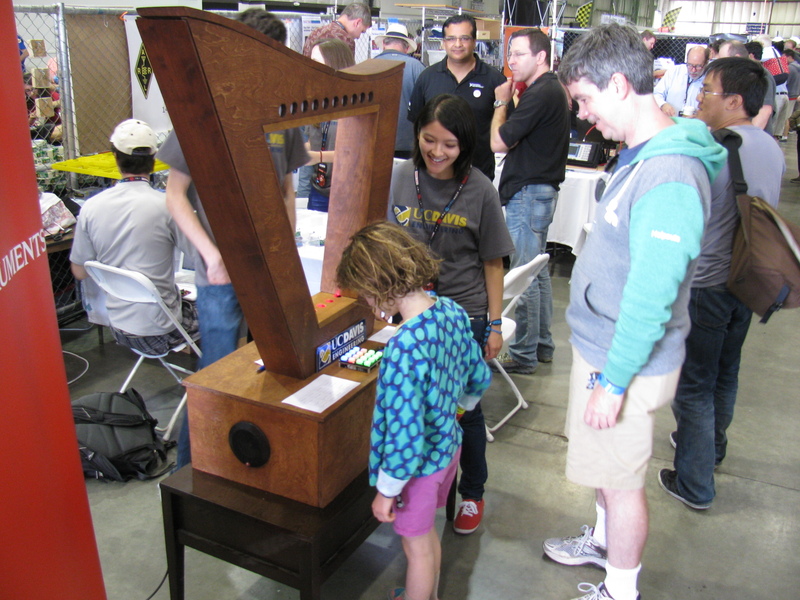 More Bay Area Maker Faire pictures and stories coming soon!